A beautiful pair of handmade highball glasses from Devon's Dartington Crystal. From the Glitz range, these stylish glasses are complete with Swarovski® crystals and are ideal for adding some glamour to long drinks and cocktails. 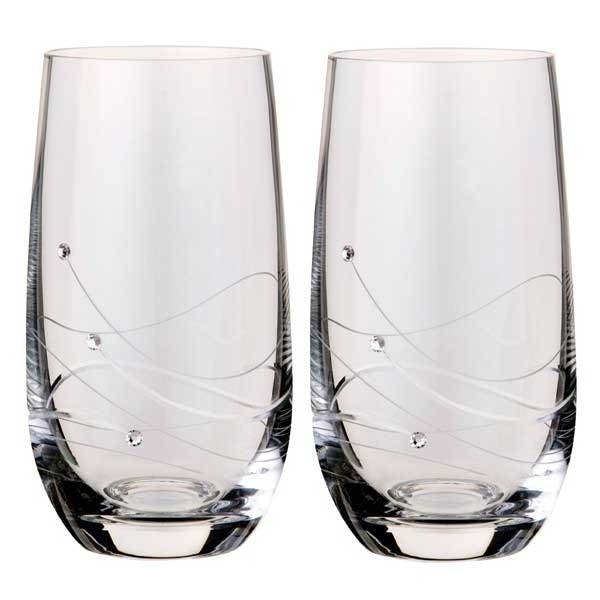 At 145mm high and with a capacity of 48cl this pair are great for whether you're serving a glass of diet coke with ice and a slice or the perfect gin & tonic. We can gift wrap too, please ask us for the options available!